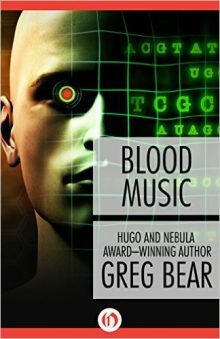 In the tradition of the greatest cyberpunk novels, Blood Music explores the imminent destruction of mankind and the fear of mass destruction by technological advancements. The novel follows present‑day events in which the fears concerning the nuclear annihilation of the world subsided after the Cold War and the fear of chemical warfare spilled over into the empty void it left behind. An amazing breakthrough in genetic engineering made by Vergil Ulam is considered too dangerous for further research, but rather than destroy his work, he injects himself with his creation and walks out of his lab, unaware of just how his actions will change the world. Author Greg Bear’s treatment of the traditional tale of scientific hubris is both suspenseful and a compelling portrait of a new intelligence emerging amongst us, irrevocably changing our world.